how would I then use that, to create a harmonic mask of nHarmonics based on that fundamental frequency? So the mask will contain the f0 + nHarmonics harmonics. The point of this mask will be to then use it as a filter for the audio mixture. I want to do this using MATLAB. edit: I forgot to mention that the f0 is not a constant value, it is a ranged f0 track from fmin to fmax, for example dominant f0 from 100Hz to 800Hz. So the f0 track contains different values, not just one value. I can understand a comb filter working for one value, but this is a bit more complex, as the f0 track has multiple different values, so now each one of those would have to have nHarmonics multiples above the f0 for me to create this harmonic mask. for all integers n and $\omega_n$ in the range of 0 to $2\pi$ to correspond to the primary frequency range of DC to the sampling rate. This comes directly out of factoring the polynomial given by H(z), resulting in zeros on the complex unit circle at the angular frequencies given above. Because of the extra $\pi/N$ rotation on the unit circle, this filter works well for filtering odd harmonics based on prudent choice of N and therefore the sampling rate as an integer multiple of the notch location. Both of these approaches are referred to as "Comb Filters" and notice in this case how the notch occurs at a fundamental frequency and every integer multiple of that frequency. The requirement here is the sampling rate be an integer multiple of the notch frequency. The filter has linear phase which is important if phase distortion is of concern, but a potential drawback is the gradual loss in frequency components at other than the distinct harmonics. 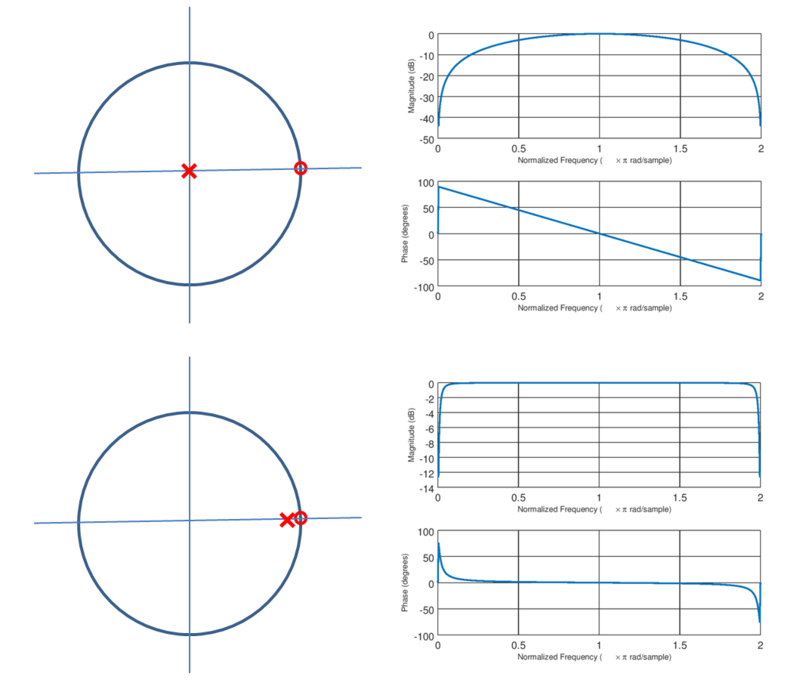 An improved approach for the amplitude response would be to extend the concept of the second order notch filter which I have derived at this link given below. 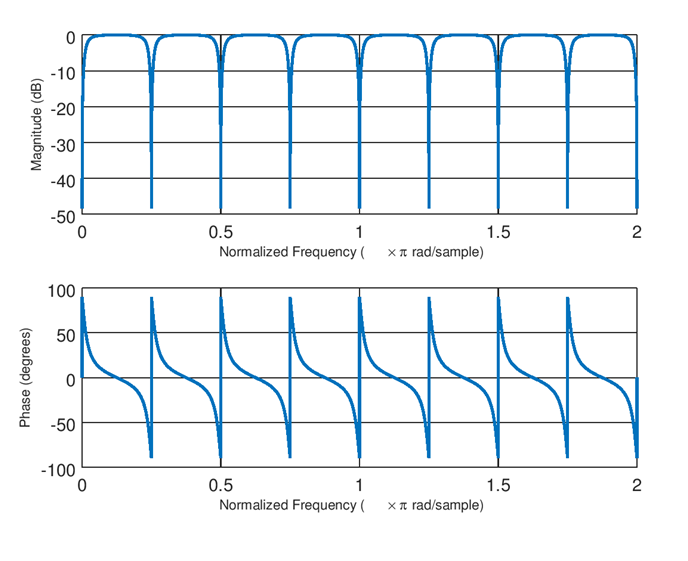 This will result in much flatter amplitude response over the pass frequencies, but the tight notches come at the cost of increased phase distortion in proximity of the notches which may be an issue depending on the application. At this point you may see where I am going with this. 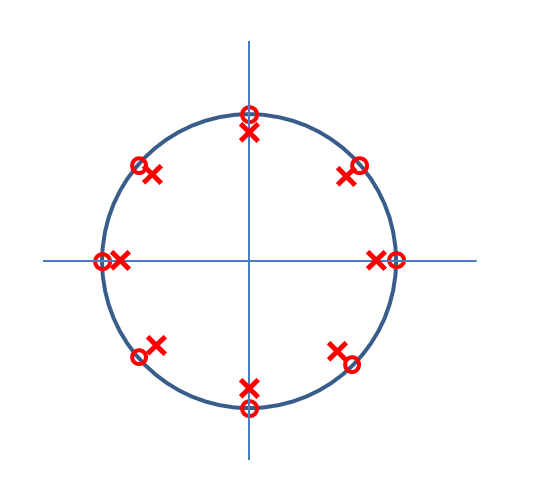 We can combine the concept of the DC Nulling filter with the comb filter to achieve tight notches at integer harmonic locations by placing poles in close proximity to the zeros given in the Comb Filter example as depicted in the graphic below. The result for N= 8 and a = 0.95 is shown in the plot below. 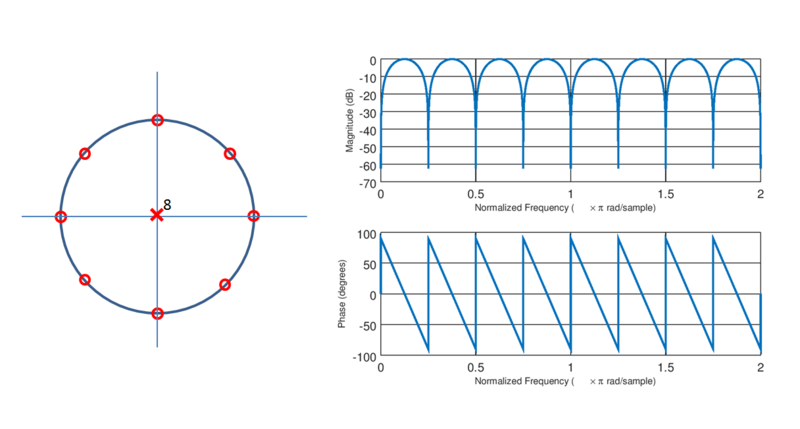 The possible challenges with this approach is the significant passband phase distortion as N increases, and the amount of precision required in implementation. In particular see the plot in that post for the interpolated CIC compensator which is implmented by simple zero insert (meaning to interpolate by 8, simply insert 7 zeros between each filter coefficient in the 3 tap compensator). This won't achieve the flatness and sharp nulls as done with the IIR approach above but will have significantly improved flatness over a wider passband range than the simple notch filter approach AND with linear phase. 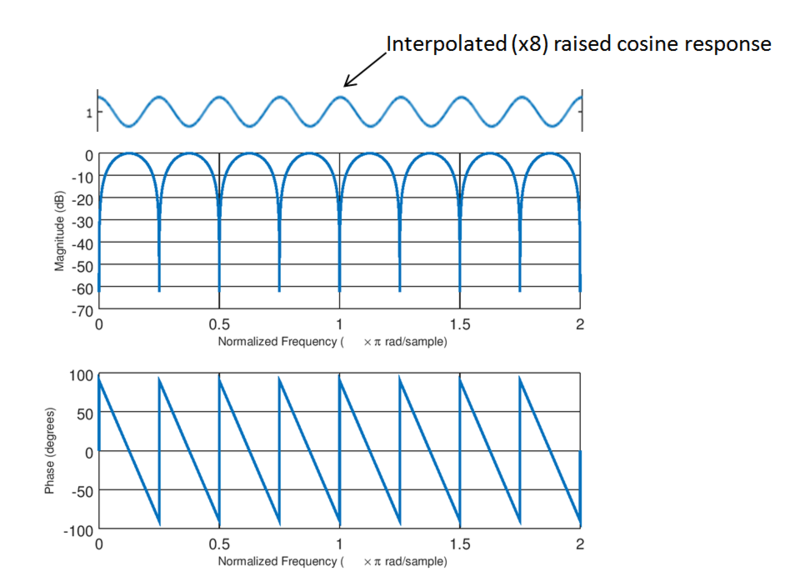 The cascade of the simple delay and subtract comb filter with the interpolated 3 tap FIR compensator (given by the two responses shown below) results in a significantly flatter passband response with minimal added complexity. Not the answer you're looking for? Browse other questions tagged filters audio spectrogram pitch fundamental-frequency or ask your own question.